Here’s the caveat: Oxidative reactions are crucial for bodily functions, yet oxidative stress causes damage to cell structure and plays a significant role in the development of chronic inflammation and many age-related chronic diseases. An antioxidant, as defined, is any substance that prevents or repairs the damaging effects of the chemical reaction known as oxidation. Oxygen, of course, is essential to life and the very act of breathing results in the continuous generation of thousands of free radicals, inescapable byproducts of the breakdown of oxygen during normal cell metabolism and energy production. Additionally, we are constantly bombarded with externally generated sources, including environmental pollutants, radiation, cigarette smoke, poor dietary habits, excessive exercise, infections and medications, which all increase free radical production. Even so, not everything about free radicals is destructive. Free radicals are necessary to several essential metabolic processes, but play a dual role as they are both beneficial and deleterious to health. 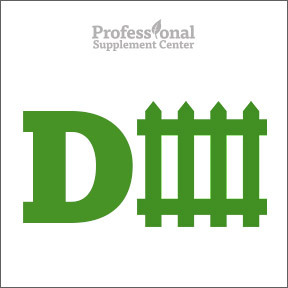 At low or moderate levels, free radicals have beneficial effects on cell division and hormone production, and support immune function, as the immune system releases free radicals to combat and destroy pathogenic invaders. Conversely, as unstable molecules, free radicals can drastically alter the structure and function of cells, disrupting homeostasis and damaging and interfering with cell membrane functions, protein synthesis and cellular nucleic acids. Their instability is the result of an unpaired electron, which causes them to steal from healthy cells to stabilize themselves. This electron theft turns the formerly healthy cells into free radicals themselves, triggering a domino effect as more and more free radicals are produced. As there is a limited supply of naturally produced antioxidant enzymes available to cells, the amount of free radicals can exceed the body’s ability to scavenge and neutralize excess and unnecessary free radicals. An overload of free radicals results in the condition known as oxidative stress, essentially an imbalance between the production of free radicals and the body’s ability to combat or neutralize them. Oxidative stress plays a major role in the aging process and the development of chronic and degenerative illnesses, including cardiovascular and neurodegenerative diseases, autoimmune disorders, rheumatoid arthritis, diabetes, cancers and other age-related diseases. Diseased cells, such as cancer cells, are particularly vulnerable to free radical take over. Antioxidants are essentially electron donors that provide the missing electron to counteract a free radical without becoming destabilized themselves. As antioxidants combat oxidative stress by preventing, reducing and repairing free radical damage, they enhance immune defenses and defy the aging process by lowering the risk of developing age-related degenerative diseases. Aging in itself is not an illness, but it does make the body more vulnerable to disease. Healthy cells use naturally produced antioxidant enzymes as well as those obtained through diet and supplementation to protect themselves against free radical damage. The body’s ability to produce the antioxidants glutathione, ubiquinol and uric acid is influenced by aging, genetics, lifestyle habits and exposure to environmental pollution. When we are constantly exposed to environmental pollutants and don’t make the healthiest diet and lifestyle choices, we put ourselves at a higher risk of oxidative stress and, consequently, illness and disease. Research suggests that free radical damage has a significant negative influence on aging, and that damage can be controlled with adequate antioxidant defense. Optimal intake of antioxidants may positively impact quality of life and lead to a longer, healthier life span. Along with naturally produced antioxidants, vitamins C and E, phytochemicals, flavonoids and beta-carotene, may be obtained through diet and supplementation, which can help suppress or break the chain of free radical production. As not all free radicals are alike, a variety of antioxidants that work synergistically may provide the most effective defense, which is one of the many reasons why a colorful and varied diet is so important for optimal health. Astaxanthin 4 mg by Pure Encapsulations – This powerful antioxidant supports skin, macula, joint, immune and cardiovascular health. Formulated from Hawaiian microalgae and cultivated under pristine conditions, this product also includes vitamin E for its synergistic effects. Gluten and soy free, Non-GMO, hypoallergenic formula. Ubiquinol CoQ10 100 mg by Vital Nutrients – This activated CoQ10 offers superior bioavailability, increases cellular energy and naturally supports the cardiovascular system. Contains Non-GMO soy lecithin. Renewal Antioxidants™ by Source Naturals – This product provides broad spectrum support for multiple body systems and includes a wide range of free radical protection for cells and tissues. Contains wheat and soy. 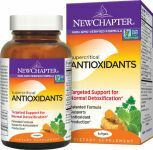 Supercritical Antioxidants by New Chapter – This patented formula delivers multiple, concentrated, carefully selected, synergistic natural herbs that promote cell protection and serve as a proactive approach to healthy aging. Gluten free, Non-GMO formula. Antioxidants. Balch, Phyllis A., CNC: Prescription for Nutritional Healing. The Penguin Group, 2010. This entry was posted in Home and tagged antioxidant, Astaxanthin 4 mg by Pure Encapsulations, Free Radical Defense, Renewal Antioxidants™ by Source Naturals, Supercritical Antioxidants by New Chapter, Ubiquinol CoQ10 100 mg by Vital Nutrients. Bookmark the permalink.